25 Cent Cufflinks - A memory of that special trip perhaps? 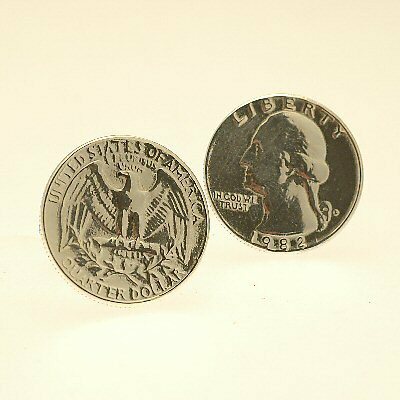 Replica American 25 Cent Cufflinks look both stylish and unusual. Available as solid hallmarked silver or silver plated, they come in a beautifully gift-wrapped presentation box. The price includes UK delivery and the gift wrapping - such an easy way to give a gift!